ALTO 3 is Datto’s cost effective, yet fully featured, Total Data Protection platform built for small businesses. Easily protect any physical or virtual infrastructure running on Windows, Mac, or Linux, and spin up lost servers in minutes in the secure Datto cloud - without the need for additional tools. Backup automatically on your schedule to a local device, and replicate backups to the Datto Cloud. Recover granular data quickly from multiple points in time, and use Datto Cloud virtualization to spin up lost servers, getting back to business in minutes. ALTO 3 packs 2TB of local storage, a powerful Intel i3 CPU, and Dual NICs into a slim mini-PC unit that measures only 5 inches square and 1 inch tall. With it comes plenty of storage available on the Datto Cloud, ready to recover any failed servers with fast Hybrid Virtualization Technology. RUN ANYWHERE. PROTECT ANYTHING. RESTORE ANYTIME. SIRIS 3 is the first fully featured total data protection platform delivered in one integrated package. Easily protect any physical, virtual and cloud infrastructure running on Windows, Mac or Linux, and spin up lost servers in seconds without the need for additional tools. Backup automatically on your schedule to a local device, and replicate backups to the Datto Cloud. Recover granular data quickly from multiple points in time, and use local virtualization, Datto Cloud virtualization—or both—to get back to business in minutes. Datto provides total data protection and business continuity solutions built for businesses of every size, regardless of infrastructure. With scalable storage options, extremely fast recovery times, and 24/7/365 direct to tech support, you’re getting the very best that data protection has to offer. Datto’s purpose-built SIRIS 3 high-performance appliances are tailored to the specific requirements of the SIRIS solution and packed with the latest generation of components. Each comes complete with multiple 10 gigabit ethernet interfaces, the latest generation of multicore Intel XEON CPUs and DDR4 memory for increased performance as well as IPMI for remote lights-out management. Built and unit-tested by Datto, all devices come with a standard 5-year warranty. Storage capacity ranges from 500GB to 120TB, with field upgrades available to provide additional capacity as your business scales. Datto is pleased to announce the first ransomware detection feature as part of the SIRIS Total Data Protection platform. Ransomware, like most illicit software, leaves an identifiable footprint as it takes over a server, PC or laptop. Datto devices actively monitor backups, and when a ransomware footprint is detected, SIRIS notifies admins that they have a likely ransomware attack on their hands. From there, recovery is simply a matter of restoring from a previous backup. Stop worrying about ransomware and get back to business fast with SIRIS, the total data protection platform. Good is now even better with Datto’s advanced screenshot verification. While a screenshot does provide a sense of security that a server has been properly constructed as a bootable image, we have taken it to the next level with additional verification options. Datto now offers script execution to further ensure a backup is viable. Need to know if a database is corrupted, or if a service is running? Create a script, upload it to SIRIS, and each screenshot verification will run the script against the latest image. Don’t just think a backup is viable, know it is with advanced screenshot verification. Not all network storage is protected by the cloud. This is why Datto NAS 3 can mount other network storage devices, and automatically schedule and copy data from other devices to the Datto NAS. Once under the NAS Guard umbrella, this data is then protected just like any other data on the Datto NAS, uploaded to the secure Datto Cloud, and available for restore at any time. Protect your existing network storage solutions with NAS Guard, available by the end of the year on Datto NAS 3. Restoring files from a Windows system backup just got easier with the Direct Restore Utility. 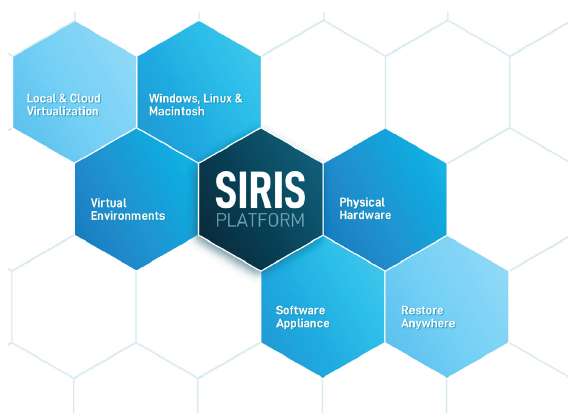 Using new embedded capabilities on the SIRIS 3, files on any Windows image, including encrypted and deduplicated images, can be explored on the SIRIS without booting the entire image. When the desired files and folders are found, SIRIS can push them to any Windows device using iSCSI. Why does this matter? Because iSCSI file transfers are faster and preserves ACLs, maintaining permissions in the file transfer when the files are restored. In addition to the existing ability to geo replicate between North American (PA > Utah and Toronto > Calgary) data centers, customers now have the ability to apply geo redundancy policies to SIRIS backup images from UK and Frankfurt data centers to Iceland. Simply select geo redundancy on an SIRIS device, and a backup will be sent to the secondary datacenter automatically within the same region. If something happens in a disaster scenario and the primary data center is not available, the backup will be recoverable from the secondary data center. 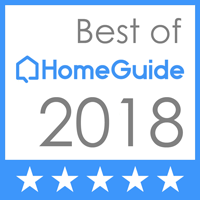 This groundbreaking proprietary technology on appliances allows you to identify file or application changes between any two backup points. You can easily find that deleted folder or determine which files a virus affected. 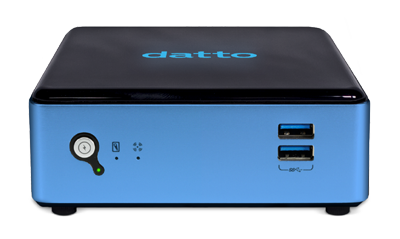 Backups from Datto appliances can be virtualized locally on the Datto SIRIS or to the secure Datto Cloud, instantly, with the click of a button. Should a local disaster occur, a business can continue as usual in the Datto Cloud. Even while virtualized, systems can perform a normal backup schedule to both the Datto device and to the Datto Cloud. This is the combination of instant off-site virtualization and the single click connectivity of instant local virtualization. On-prem servers are protected on Datto appliances and mirrored automatically to the Datto Cloud, improving fault tolerance while reducing the reliance on bandwidth speed. Restoration involves booting the node in the cloud and managing it using local hardware. While cloud hosted file sync and share is simple and easy to use, it is not the right answer for all use cases. Sometimes security, policy or regulatory requirements dictate a locally hosted solution. Datto Drive local delivers the same experience, and even the same source code as Datto Drive, but hosted on local SIRIS devices. Modernize access, collaborate faster, and access files from anywhere all from a cloud protected file sync and share solution now available for free on SIRIS 3. Datto SIRIS 3 supports both physical and virtual systems through agentless and agent-based backup. Agentless protection enables fast and easy pairing of any number of VMware systems or templates. Agent-based protection provides scalable backup for all of your physical devices. Datto’s unique billing model takes the guesswork out of cloud billing. Storage for appliances is based on time-frames versus trying to estimate how many gigabytes a customer may need; available in 1, 3 or 7 year options. Need to keep more data for an extended time? Avoid limits like storage capacity maximums and lapsed storage contracts with Datto’s Infinite Cloud Retention Program. Maintain an ongoing contract with us, and keep your data on the Datto Cloud indefinitely. Perfect for long term archiving and organizations subject to regulatory requirements. Datto Direct – to–Tech Support is 100% in-house and available 24/7/365, so you can get help when you need it no matter what time of day it is where you are.